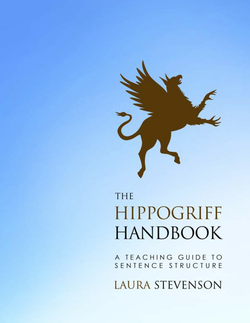 The Hippogriff Handbook helps high school and college teachers instruct students in the four kinds of sentences: simple, compound, complex, and compound-complex. The book introduces basic sentence structure with engaging examples and characters that include hippogriffs, peasants, maidens, kings, and ineffective knights. The 46-page book uses explanations, examples, and exercises that guide students through all aspects of sentence structure. Teacher answer sheets are provided for all the exercises.